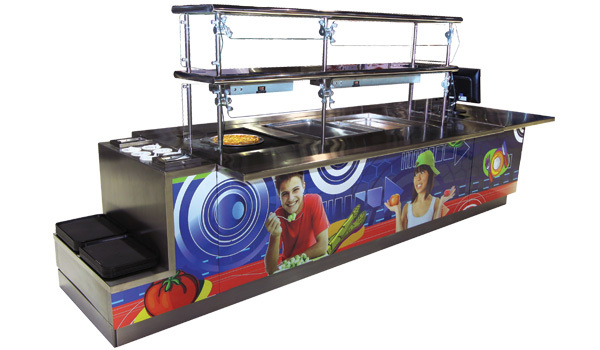 Advance Tabco® manufactures not only back-of-the-house kitchen equipment, but now offers cafeteria serving lines and food shields for front-of-the-house service. You can rely on one manufacturer for all of your needs. Think one purchase order, one set of drawings, one tracking number and one shipment! This saves time and money. Many manufacturers offer these products and services, but Advance Tabco can offer them all together. Contact Our Smartfab™ Department To Get Started! Specify Advance Tabco with confidence and know that we will deliver consistent and reliable quality within your budget. Avoid the uncertainty and prices of “custom fabricators,” and let our 84 years of experience work for you. Advance Tabco is UL listed, which gives us the ability to install and pre-wire all buyout equipment. 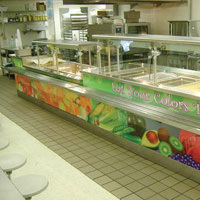 Send us your heat lamps, hot and cold food wells and warming drawers, and we will install them for you. We’ll crate it up and deliver a serving line that is ready to be plugged in. 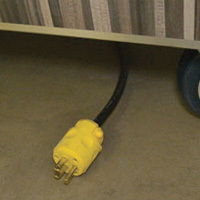 This saves on the installation costs, and ensures that all buyout equipment will fit perfectly. Want to add some school spirit, or promote healthy eating? Count on our in house graphic department to help your vision come to life. Whether you have an idea and some final tweaks, or you would prefer us to come up with a concept, we can get it done with custom vinyl wrapping or laminate design and application. Click here to learn more about Advance Tabco Smart Fabrication For all your customized equipment.